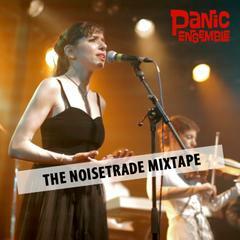 For the past five years Panic Ensemble has been drawing greater and greater attention in Israel. Blending rock with Jewish, classical and folk elements, Panic invites its audience into a novel and wondrous world of magic and excitement, and the numerous fans are enchanted and moved by the gorgeous and stirring songs. Performing in numerous and varied venues Panic Ensemble appeals to numerous audiences. They have appeared in key rock clubs, dance concerts, as well as numerous festivals such as the Israel Festival, Indie, Musica Nova, Festival of the Desert and others.